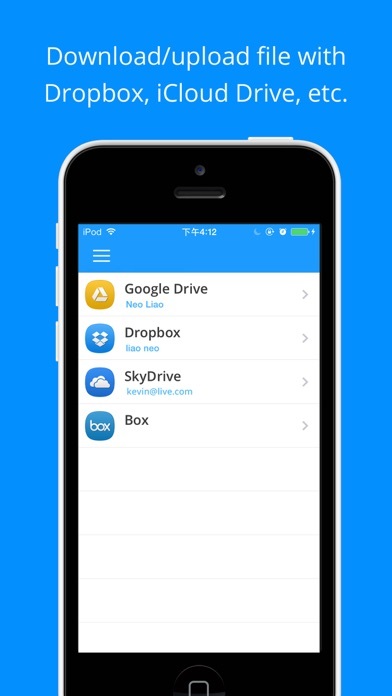 Pocket Briefcase allows you to download and upload files from Dropbox, GoogleDirve, OneDrive,Box. 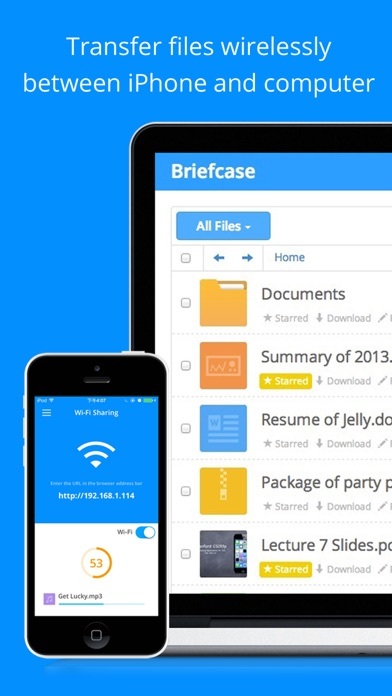 Email files directly from Pocket Briefcase. 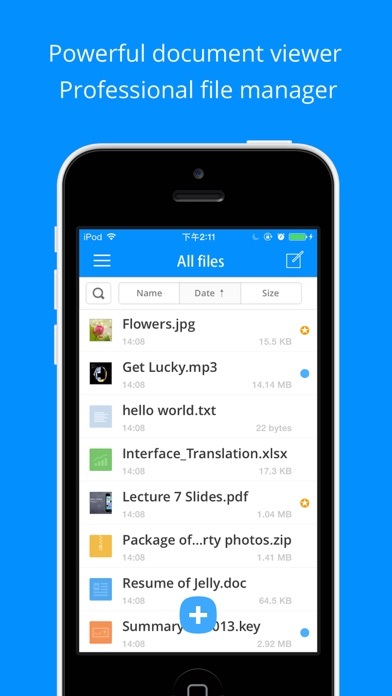 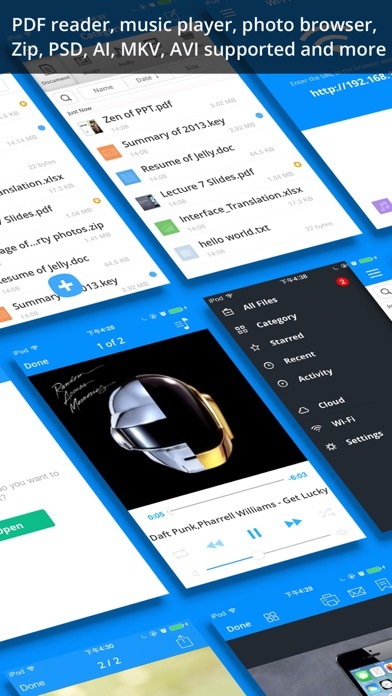 Share files via "Wi-fi Sharing" function.